[Denver Firefighters Museum. Photo: Jeffrey Beall] Learn about fire safety and the prominent role the Denver Fire Department has played in the Mile High City. Explore behind-the-scenes of the Denver Fire Department, with orignal artifacts, documents and photos. 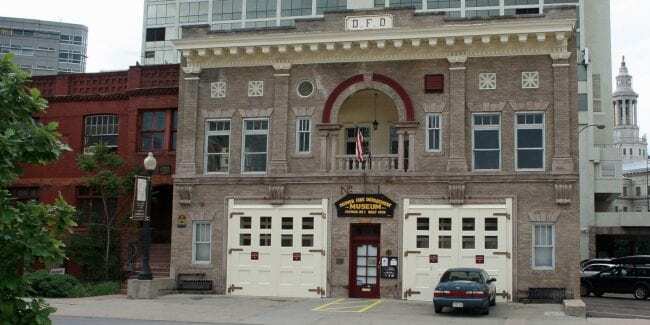 Attractions at the Denver Firefighters Museum include interpretive exhibits and educational programs. The mission is teach everyone how to live safer lives around fire prevention. Housed in the original Station One, which was dedicated on January 2nd, 1882. The museum is open year round, with special events regularly. September to May from Tuesday to Sunday, and June to August daily. Children 4 and under are free.